Objectives: Dietary n-3 polyunsaturated fatty acids have positive effects on the heart. The present study investigated the effects of pretreatment with fish oil (FO) and flaxseed oil (FLO) on the heart of the rat, which is associated with the isoprenaline (ISO)-induced myocardial injury. Materials and Methods: The study was conducted on 40 male Wistar rats which were included in control, ISO, FO + ISO, and FLO + ISO groups (each containing 10 rats). In ISO rats, acute myocardial ischemia was induced by ISO while in FO + ISO group, the rats were pretreated with FO orally for 4 weeks. Finally, rats in the FLO + ISO group received pretreatment with FO and flaxseed oil orally for 4 weeks. Eventually, the histopathological examinations of the cardiac tissues and serum activity of creatine kinase-MB (CK-MB) were assessed. Moreover, mitochondria were isolated to examine the mitochondrial swelling. Results: Based on the results, ISO administration significantly increased the serum CK-MB activity compared to the control group. In addition, severe muscular damage to the heart was observed in more than 70% of the rats in ISO group. 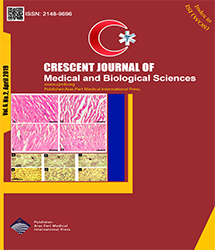 However, a remarkable decrease in the intensity of heart tissue destruction, as well as the serum levels of CKMB was found in the FO + ISO group compared to the ISO group. Conversely, there was no significant decrease in the serum level of CKMB in FLO + ISO group compared to the ISO group. Conclusions: In general, pretreatment with FLO significantly suppressed the intensity of heart tissue destruction compared to the myocardial ischemic group. FO and FLO led to a decrease in CaCl2-induced swelling in the mitochondria. Therefore, FO and FLO result in protecting against ischemia/reperfusion injury through inhibiting the 1-methyl-4-phenyl-1,2,3,6-tetrahydropyridine.